Please check your CPU Fan and compare it with our listing photo to ensure that this is the item you need. Please be informed that using your laptop model and fan part number is not sufficient basis to identify the correct replacement because they might have different appearance, screw alignment, pin connector and might not work at all series. 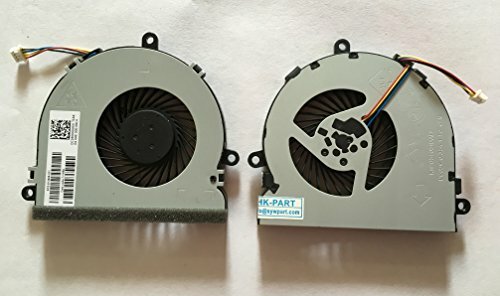 It would be better to remove your current fan from your laptop and compare it with the picture contained within the listing. Also please be informed that our item are all sorted according to compatible laptop models. You will receive any of the part numbers mentioned above. All are compatible replacement. It can be used interchangeably. Photo is for reference only. If you have any inquiries , please don't hesitate to contact us. And if you already bought and encountered a problem with this item, please let us know and send us the photo (front and back) of the item you received and the old fan that you will replace. Hope you understand. Thank you! If you have any questions about this product by sywpart, contact us by completing and submitting the form below. If you are looking for a specif part number, please include it with your message.